In accordance with the Taipei Grassroots Athletes Training Station Implementation Measures and other related policies established by the Sports Administration, Ministry of Education to discover and train the talented athletes to enhance Taipei’s strength in competitive sports, a total of 174 Grassroots Athletes Training Stations in 18 competitive sports categories were set up in schools of all levels, in the Sports Associations subordinate to the Taipei Municipal Athletics Federation, and in Taipei Sports Centers in 2013. In addition, to fulfill the “General Plan of Promoting Baseball Sports,” 10 baseball grassroots athletes training stations were built, and 184 grassroots athletes training stations were established in 2013. Athletes with outstanding performances may apply for the Outstanding Athletes Training Grants. Moreover, in collaboration with the Sports Administration, many regional tournaments were held. With the support of the Athletics Care and Counseling Project and equipment subsidies, each station received a budget with which it could purchase the equipment and assist the athletes in financial and academic terms. These measures were designed to fully equip the stations and provide the athletes with solid training in a satisfactory and comfortable environment. In addition, the Taipei Baseball Team assists Taipei City Government in promoting grassroots baseball by applying the grassroots baseball development to the third level baseball schools. In addition to the assistance to the schools with baseball teams or clubs, free coaching will also be provided to those schools with no baseball teams or clubs. 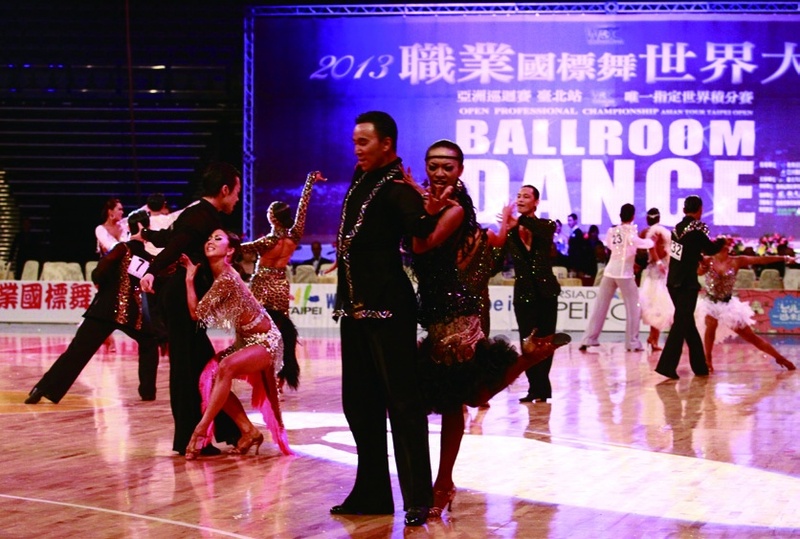 The warm-up competition of the “2013 Open Professional Ballroom Dance Championship Asian Tour Taipei Open” was held in Taipei Gymnasium on February 24, 2013, and the final and the international competitions were held in Taipei Arena on February 28. More than 100 pairs of foreign contestants from 25 countries and 300 pairs of contestants from Taiwan took part in the competition. This event was recognized and accredited by the World Dance Federation and Asian Dance Federation. It was the largest professional ballroom dancing competition in the country, which attracted the contestants who were ranked among the very best in the world professional Modern Dance and Latin Dance. The level of competition and the number of registered teams are increasing each year. The “2013 IIHF Ice Hockey U18 World Championship Division III Group A” was held at the Taipei Arena Annex Ice Rink from March 11 to 16 in 2013, and was an important annual event for the International Ice Hockey Federation (IIHF). 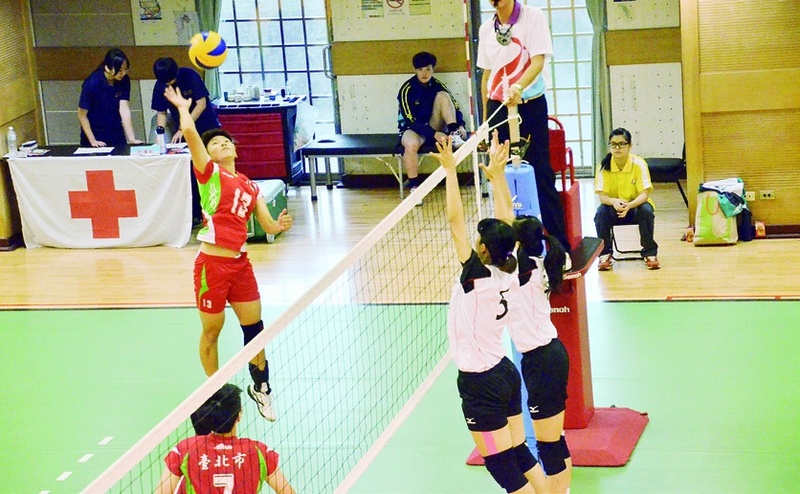 Mexico, New Zealand, Bulgaria, China and Chinese Taipei teams gathered to be matched against each other. Hosting such an international event will help to enhance the sports city image of Taipei, to increase the international visibility, to further promote the international sports exchanges, and to enhance the international friendship. The Chinese Taipei team won a silver medal after intensive competitions; a total of 3,730 spectators were attracted to watch these 10 events. 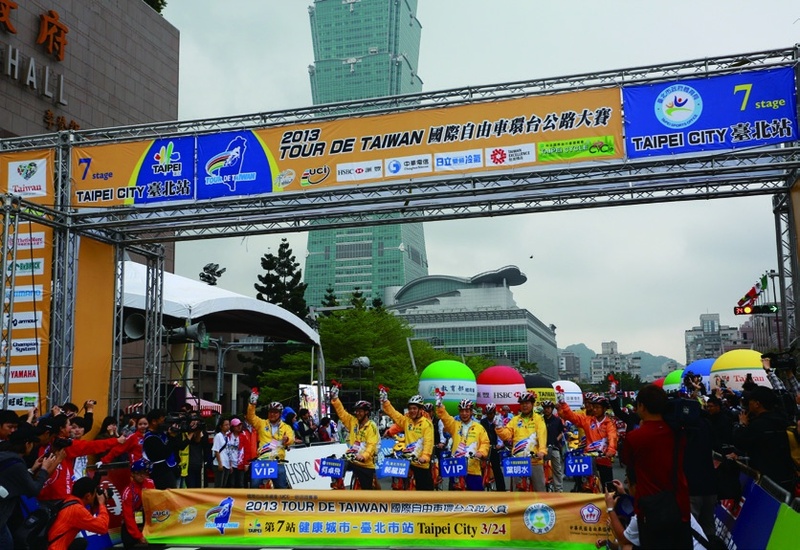 The “2013 Tour de Taiwan”, an eight-day competition, was held from March 17 to 24 in 2013. A total of 23 cycling teams from 30 countries and 184 top cyclists flew to Taiwan to take part in this prestigious event. Among the participating teams were Vini Fantini-Selle Italia Pro Cycling Team, La Pomme Marseille, Madison Genesis, Froy-Bianchi, Terengganu Pro-Asia Cycling Team, and Drapac Cycling, making this event the most competitive in Taiwan's cycling history. To create a competition of a high level of difficulty, the criterium started from Taipei City Hall and passed through section 1 to section 4 of Ren’ai Road till Jingfu Gate to make a return to the City Hall. The length of the criterium was 10.4 km, and 5 laps were to be made. 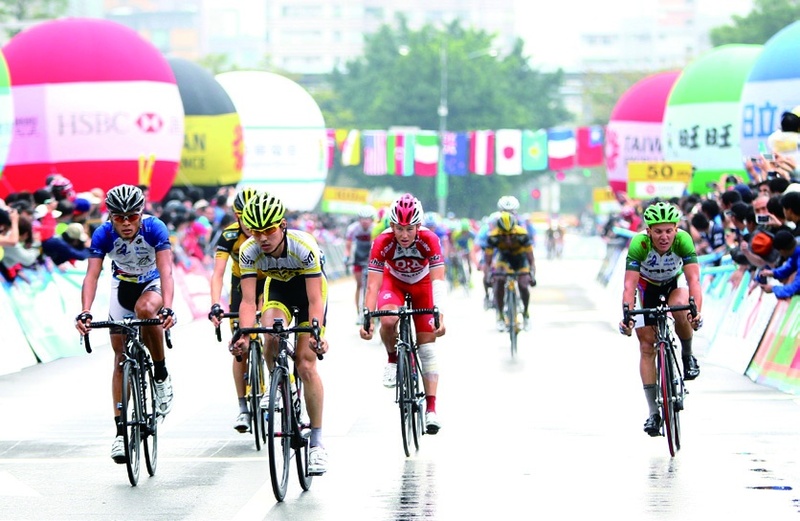 It was the only city criterium competition of the 2013 Tour de Taiwan. In addition to this professional competition, the Cycling Day for All, one of the events of the Tour de Taiwan, entered its fourth year in 2013. On March 24, 2013, the Cycling Day for All allowed the individuals to cycle on Renai Road, the most beautiful boulevard in Taipei. The “Taipei 2013 Badminton Asia Championship” was held at Taipei Arena from April 16 to 21 in 2013 was an international badminton tournament hosted by the Badminton Asia Confederation. More than 400 outstanding competitors from more than 30 Asian countries came to Taiwan to participate in this event. It was the first time that the Badminton Asia Championship was hosted by Taiwan. After the “2001 Asian Junior Badminton Championships,” “2010 BWF Super Series Masters Finals,” and “2011 World Junior Badminton Championships,” this opportunity to host an international badminton tou rname nt show ed off once aga in the performances of Taiwanese badminton players and the ability of Taiwan to organize the international events and gain the international recognition. 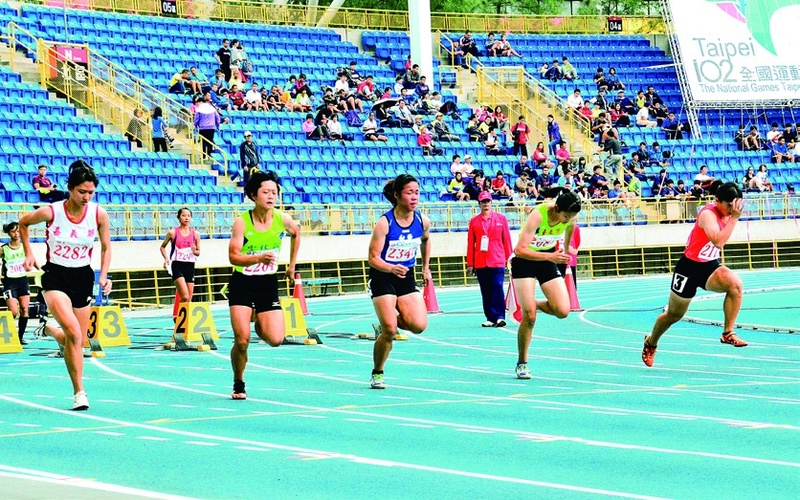 The “2013 Taiwan Open Athletics Championships” was held at the Taipei Municipal Track and Field Stadium from May 27 to 28 in 2013, in which nearly 700 outstanding athletes from Taiwan and 16 overseas countries including Australia, U.S., Hong Kong, and Malaysia participated. 7 Taiwanese athletes had outstanding performances, breaking 4 national records. Lee Wen-hua, an athlete who had been training for the Olympics, won the gold medal by breaking the national record in the discus competition with a throw of 59.83 meters, also reaching the Olympic B standard. Chen Jie, who also trained for the Olympics in the 400-meter hurdles, won the silver medal with a time of 49.93 seconds, second only to Tyler, the winner of two consecutive Olympic gold medals. Wang Wen-tang, also in training for the Olympics in the 200-meter sprint, won the gold medal. Lin Gia-yin reached the Olympics B standard with a throw of 17.38 meters in the women's shot put. Yi Wei-chen was a runner-up in the 100-meter dash and broke the national record with a time of 10.28 seconds, and met the national record with a time of 38.78 seconds in the 400-meter relay. The “Asian Eastern Region Men's Championship 2013” was held in Taipei Gymnasium from June 30 to July 4 in 2013. The participating teams came from 7 member states, including China, Japan, Korea, Hong Kong, Macau, Mongolia, and Chinese Taipei. The five-day tournament attracted an audience of 20,000 people. Chinese Taipei was competing with Japan in the final, which attracted 5,000 fans that came to watch the game and cheer for the home team. The Chinese Taipei team finally succeeded in winning the championship. The “Judo Asian Open Taipei 2013” was held in the gymnasium of the University of Taipei from September 7 to 8 in 2013, inviting more than 200 players from 15 countries. This event belongs to the Olympic points race so that the national-level players participating are increasing year by year. This can strengthen the judo skills of Taiwanese players and improve their international rankings in order to achieve the Olympic qualifications. Considering that the Asian Open Taipei has been held by Taiwan for 8 years since 2006, the Executive Committee meeting of the Federation recognized the ability of Taipei to host the Olympic points races and approved the event as an Olympic points race in Asia with the authorization of the International Judo Federation. The “Strait Futsal Premier League 2013” was held in the Taipei Gymnasium from September 29 to October 3 in 2013. There were 6 teams participating, including Taipei, New Taipei, 3 teams from Mainland China (from Yong'an City, Fuzhou City, and Zhongshan City in Fujian province) and an Australian team. The Australian team, Perth Lions Futsal Club, attended the event for the first time, signifying that the 3rd Strait Futsal Premier League had become an important international competition outside of the Taiwan Straits. As the home team, Taipei sought to defend it championship and had a strong lineup after the joining of Chi Sheng-fa, who won the high school "2011 Taiwan Futsal League" and was selected as a player for the Chinese Taipei national futsal team in 2013. The opening ceremony was held at 3 pm on September 29. Before the opening, an exhibition match between the Chinese Taipei national women’s futsal team and Taipei junior futsal team took place. In this event, the Taipei team won the championship and the New Taipei team won the 3rd place. 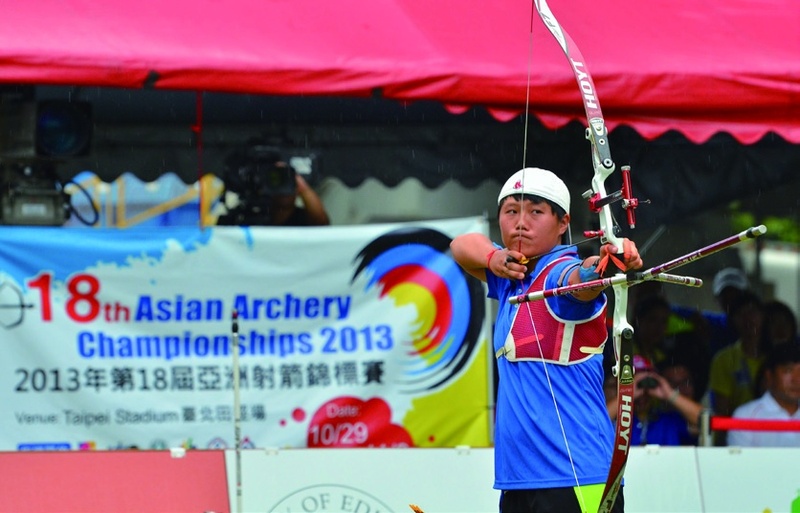 The “18th Asian Archery Championships 2013” was held at the Taipei Municipal Track and Field Stadium from October 29 to November 2 in 2013. This event is held every 2 years. 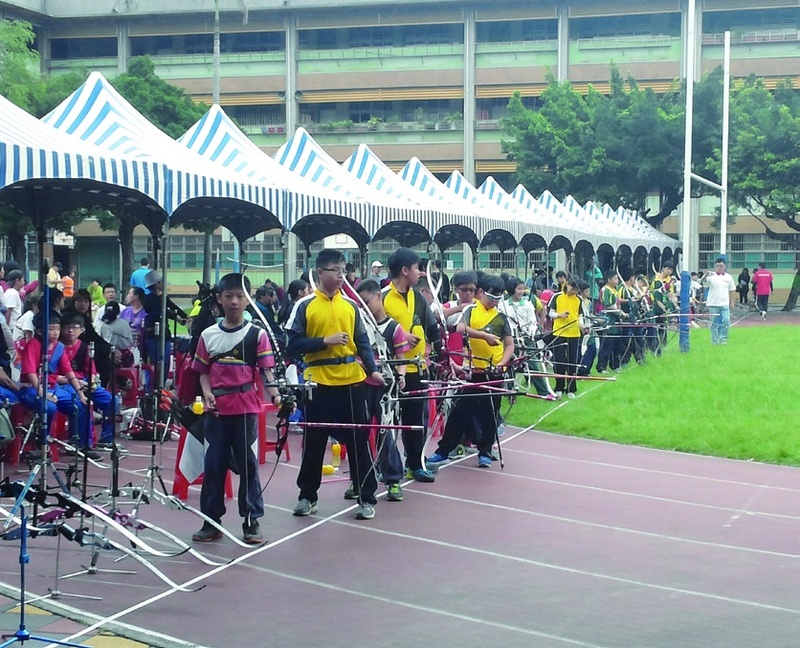 Over 30 years of hard work, Taiwan finally won the right to host the official Intercontinental Archery Championship in 2013 for the first time. Nearly 300 athletes from 20 Asian countries came to Taiwan to attend this event and compete with each other, and many emerging countries revealed their outstanding skills. However, the improvement of the competitive level requires the stimuli from large international competitions. Such an event can encourage the archers to challenge themselves and can effectively enhance Taiwan's international competitiveness. Finally, the Taiwan team won 2 gold, 1 silver and 3 bronze medals, creating the best record in history. The “2013 OEC Taipei WTA Challenger” was held in Taipei Arena from November 3 to November 10 in 2013, in which many top international female tennis players competed against Taiwanese players. In addition to the Hawkeye system, the online live streaming of the competitions and the scoring system were also installed. The upgrading in equipment had greatly enhanced the professional image of Taiwan as a host of this international event. The number of viewers attending this event was 60,000, making it one of the largest international sporting competitions ever held in Taiwan. Last but not least, the hosting of this event achieved simultaneously the two goals of promoting athletic exchanges with other countries in the world and gaining more visibility for Taiwan and Taipei around the globe. The “2013 Taipei Fubon Marathon” started at 7 am on December 15, 2013. This event has gained great popularity in Taiwan and attracted outstanding runners from more than 50 countries. More than 70,000 people attended the event, which has become the most famous international city marathon in Taiwan. People all over the world can watch the event live through the mobile devices such as cell phones and tablets to enjoy the brilliant performance of the competitors. The marathon covers several categories, including the full marathon (42.195 kilometers), the half marathon (21 kilometers), 9 Kms run, Fun Run (3 kilometers), and Kids Group (2 kilometers). The professional runners or amateurs can all enjoy running along the boulevards and the river banks of Taipei to savor the spectacular urban views and the friendliness and charm of the city. The “Taipei International AA Baseball Invitational Tournament 2013” was held in Tianmu Baseball Stadium, Xinsheng Park, and the Youth Park Baseball Field from December 22 to 26, in which more than 24 teams from countries such as the United States, Japan, Korea, Hong Kong, and Taiwan took part. The event helped to increase Taipei's visibility around the world through the international exchange in baseball and competitive sports, leading to a greater competiveness around the globe. The Evaluation Committee for the 2013 National Games Bids approved Taipei as the organizer of the 2013 National Games on November 13, 2009. This was the highest ranked and the largest comprehensive sports event in Taiwan, which was again held by Taipei since the Taiwan Regional Games (the forerunner of National Games) in 1994. 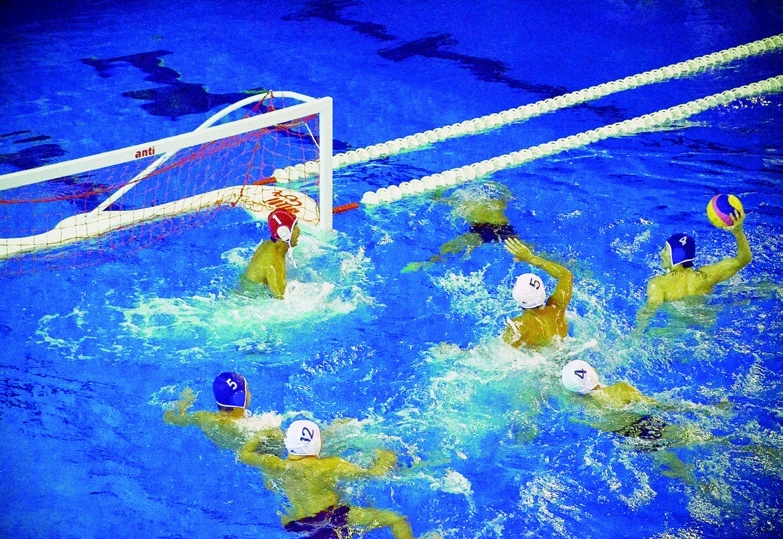 The “2013 National Games Taipei” was held from October 19 to 24 in 2013. There were 34 competition categories in which a total of 8,567 competitors from different cities and counties participated. A total of 732 competitors represented Taipei to attend 34 sports categories of the “2013 National Games Taipei.” They finally won 58 gold, 55 silver, and 48 bronze medals and came second in the team ranking. With a total of 161 medals, the Taipei team marked an outstanding achievement. Compared with the 50 gold, 44 silver, and 46 bronze medals won in the “2011 National Games,” the number of gold medals increased dramatically. Schools of all levels in Taipei focus on different sports categories to establish physical education (PE) programs and encourage sport coaches to combine all kinds of competitive sports in training. These measures can help to establish the training systems of outstanding athletes, enhance our strength in competitive sports, and build a foundation for the development of competitive sports. In coordination with the development of different sports disciplines, the PE programs in schools of all levels in Taipei have been established. From the fifth grade of the elementary school to the third grade of the senior high school, one program is established for each grade, and the class size is about 15 to 30 students in order to nurture excellent athletes at an early age. At present, there are 1,956 students in 84 PE programs established by 40 elementary schools, 1,335 students in 70 PE programs established by 24 junior high schools, and 1,783 students in 75 PE programs established by 24 senior high schools in Taipei. A total of 5,074 students in 229 PE programs in 88 schools are trained for different sports categories, including track and field, aquatic sports, gymnastics, a variety of ball games, fighting sports, martial arts, archery, shooting, canoeing, rowing, weightlifting, wrestling, skating, figure skating, folk sports, and dance. PE programs in schools of all levels establish various training systems with sports coaches in order to integrate different sports disciplines, PE classes, and other educational means to share the resources and organize the strategic alliances. The neighboring senior high schools, junior high schools and elementary schools also cooperate with each other to train the athletes through a consistent training system and thus construct a pyramid-shaped system of athletes' development. In addition, the appointment of the coaches will be in accord with the sports development in different regions and with the integration of related resources in order to bring out the optimal effectiveness of coaches. Furthermore, sport coaches who are responsible for promoting sports shall assist in building a consistent training system for various sports and coaching in schools where no full-time coach is employed, in order to further the development of PE programs or different sports disciplines of these schools. In 2012, based on the practical application of sports science and requirements of coaches and athletes, the grassroots athletes training stations as well as the high school PE programs of Taipei provided the athletes with fitness tests, sports team counseling, education on sports injuries, fitness training workshops, and athletes’ medical service. Furthermore, the physical training seminars were organized for the basiclevel coaches of Taipei in order to improve their practical training skills. In 2013, the city continued to establish a complete the Athletes’ Database and provided the athletes with scientific sports training techniques and a comprehensive care. The city has organized educations on sports injuries prevention for a total of 272 athletes, while providing sports ability tests to 691 athletes and anti-doping propaganda to 250 athletes. The Department of Health, Taipei City Government, established the “Center for Athletic Health Management,” also called the “Athletic Management Center,” in the Renai Branch of Taipei City Hospital on January 4, 2013. The operation of this center is performed cooperatively by the Department of Health, the Department of Education, and the Department of Sports. This center focuses on the athletes and provides them with the integrated services of health management and sports injuries cares. The health inspection fees of 282 outstanding athletes in Taipei were fully subsidized by the Department of Sports in 2013. The Renai Branch also arranged the follow-up appointments for the athletes after the inspection.